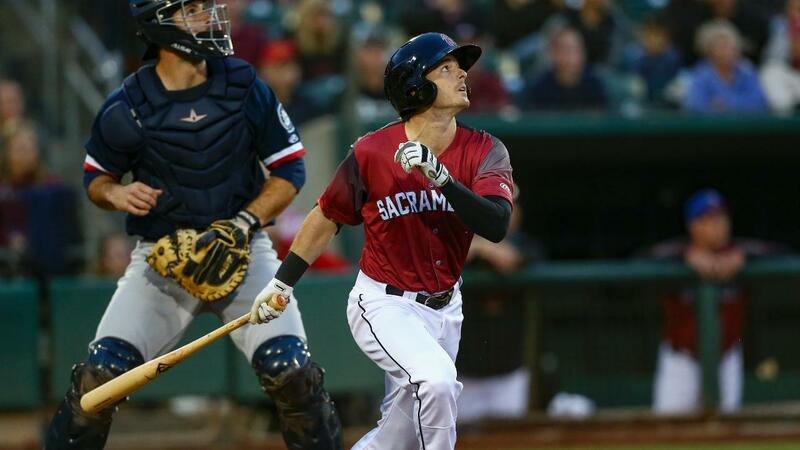 West Sacramento, Calif. -- The Sacramento River Cats (4-1) fought back from a four-run deficit to claim an 11-10, walk-off victory in extra innings over the Tacoma Rainiers (1-4). Despite allowing seven runs on eight hits in the fourth inning, Sacramento crawled back thanks to three home runs off Rainiers' right-handed reliever Ryan Garton. Outfielder Michael Reed's two-run blast in the sixth cut the lead in half before outfielder Mike Gerber and shortstop Abiatal Avelino went back-to-back in the seventh to push the River Cats ahead by two. Tacoma would plate two runs in the eighth and another in the 10th to take the lead, but Reed's opposite-field double would tie the game a half inning later. Then it was outfielder Mike Yastrzemski's fly ball that flew deep enough into left field to score Austin Slater from third as the River Cats walked off for the second time in their first five games. • Outfielder Henry Ramos, who was the team's designated hitter on Monday, recorded his second three-hit game of the season. He now has eight base knocks through four games and is batting .421. • Right-hander Chase Johnson had the unfortunate task of beginning the top of the 10th with a runner on second base. Though he allowed that inherited runner to score on a double from Rainiers catcher Austin Nola, he struck out the other three batters he faced to limit the damage to just one run.